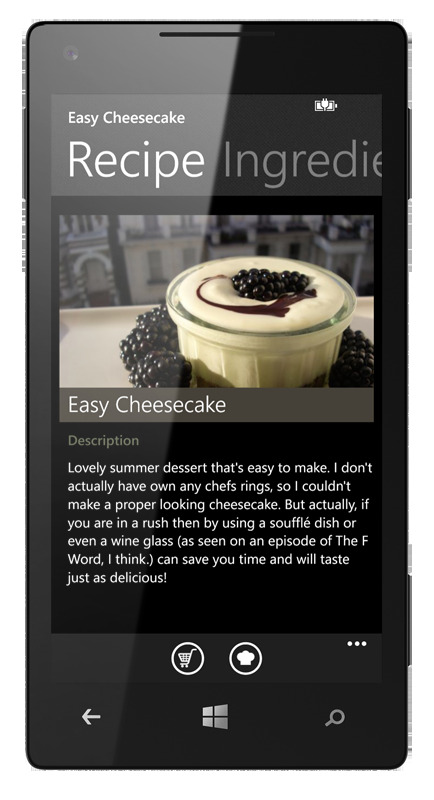 CookDiary has been completely overhauled for Windows Phone 8. CookDiary ist now faster, the design is now similar to CookDiary for PC and it supports high resolution smartphone displays. 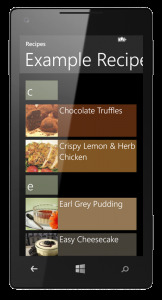 CookDiary for Windows Phone now supports high definition screens. You can upload recipe pictures in higher quality from CookDiary for PC and they look great on your smartphone. The user interface of the App has been redone. It is easier to use and utilizes the available space a lot better. Recipes are now grouped by the first character of their title. Just click a character and you can jump instantly to all recipes starting with it. A lot of small improvements like waiting animations when downloading pictures or more information per recipe enhance the usability. CookDiary is more stable. Especially the synchronization of recipes is more reliable. 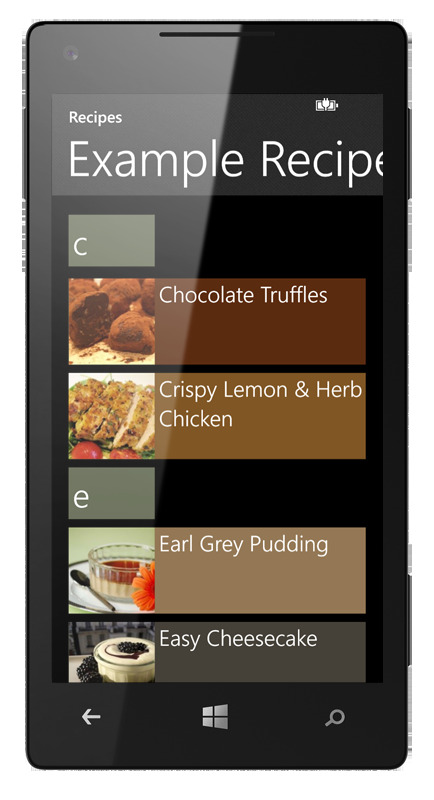 Update now to CookDiary for Windows Phone 8.